Professor Brian Baker with the ACS Innovation Award. 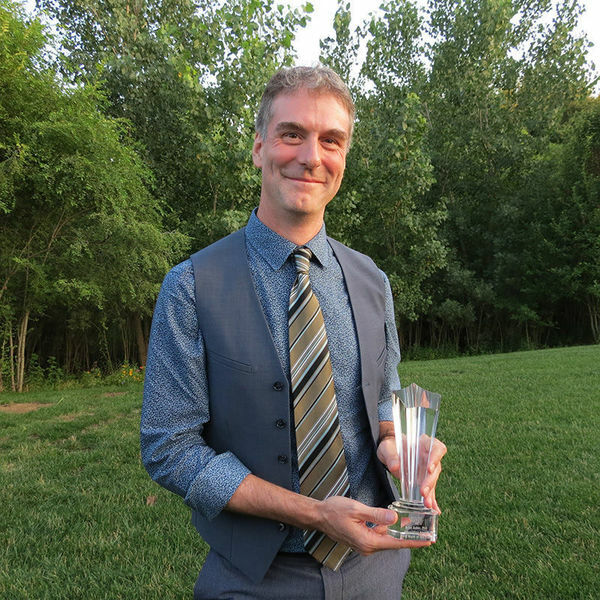 Baker was recognized at the ACS’s Night of the Stars event on Friday, August 3, for his innovative research into cancer immunotherapy. The field of immunotherapy encompasses a broad category of cancer therapies that involves utilizing the body’s immune system to fight cancer cells. Throughout his 17 years at Notre Dame, Baker’s research has been funded by various agencies, including the ACS. Recent research from his laboratory has been published in prestigious journals such as the Proceedings of the National Academy of Sciences, the Journal of Experimental Medicine, and Nature Immunology. In addition to directing his research laboratory, Baker is chair of Notre Dame’s department of chemistry and biochemistry and an affiliated faculty member of the Harper Cancer Research Institute. To learn more about Baker and his research, please visit https://chemistry.nd.edu/people/brian-m-baker/. Originally published by Brandi Klingerman at research.nd.edu on August 06, 2018.